Industrial Revolution is one of the important turning point in the course of history. It gave birth to many inventions and technological advancements like combustion engine, large machine powered factories and electrical power generation. And a major invention related to the visual arts was photography. “World Photography day is all about celebrating photography, whether you are an amateur, hobbyist or a professional. Now photography is not all about study of light, composition.” States Giriraj Kadia – who conceptualised and designed the exhibition. 100 Clicks is a brilliant amalgamation of all sorts of photography from Street to Abstract and wildlife. Design or the Setup of an exhibition plays crucial role in the success of the exhibition. 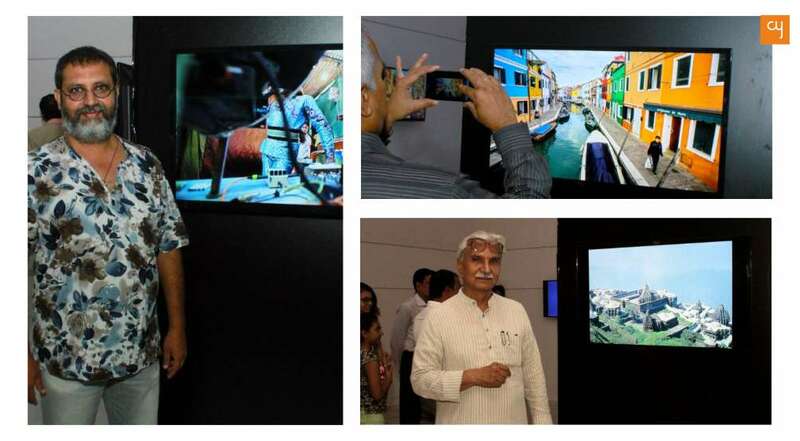 Beautifully sectioned and digitised, it’s for the first time in Ahmedabad where photographic prints and films are being exhibited digitally. 20 Led Screens lit in the dark hall of the gallery showcasing marvellous photographs, it’s quite an experience. 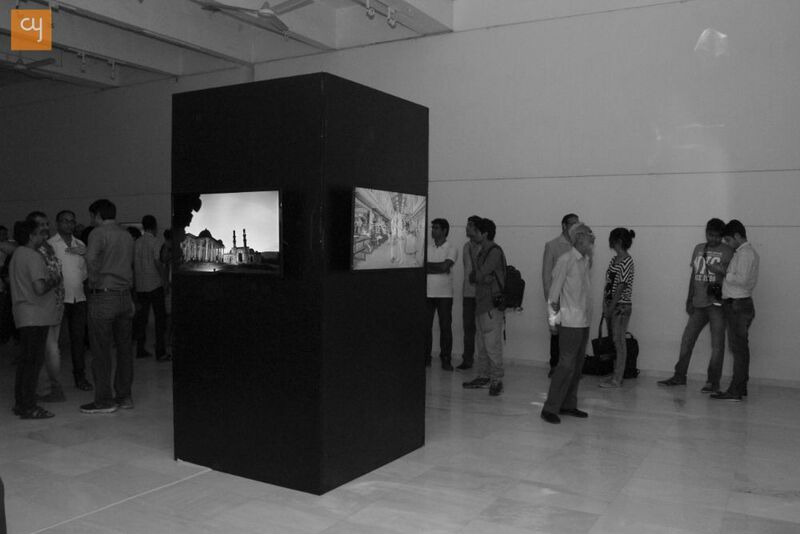 It is a not-to-be-missed exhibition of the month, with Black and White images of Pranlal Patel, High Contrasts of Vinay Panjwani, Iconic images of Vivek Desai and Parmanand Dalwadi, Geometric Cityscapes of Ashit Parekh, Intimate images of Piyush Patel and other Photographs. 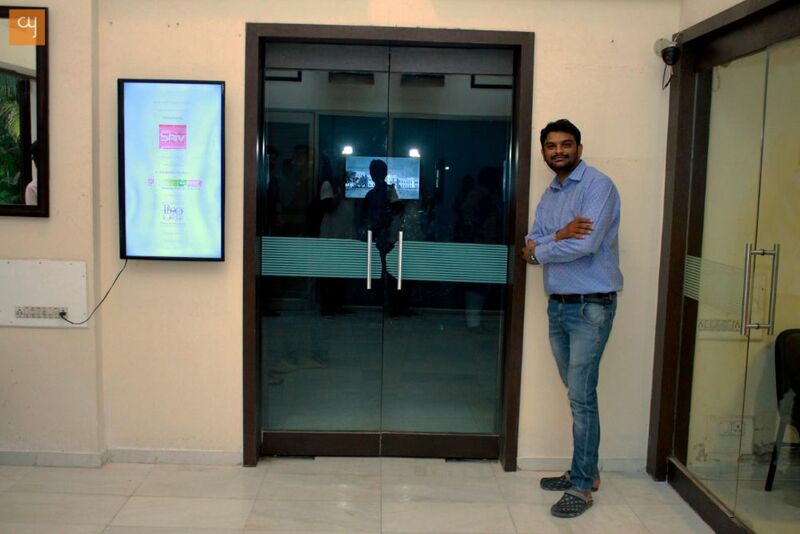 Pranlal Patel is the show stopper of the exhibition, his thriving films of group of rural people listening to gramophone in the middle of the street, childrens and adults enjoying bioscope at nowhere landscape, and others films were turned into high-quality digital images – showcasing the culture of pre-independent Gujarat. While Vinay Panjwani’s black and white fragmented and anarchic images gives the precise, credible, timeless account of the society. And with them, other stunning photographs of Aalap Brahmbhatt, Devansh Jhaveri, Hitesh Patel, Ilesh Shah, Malay Dalal, Maul Gohel, Shiv Mandapa, Shrinath Shah, Sonali Dalal, Vishal Sheth are getting exhibited. 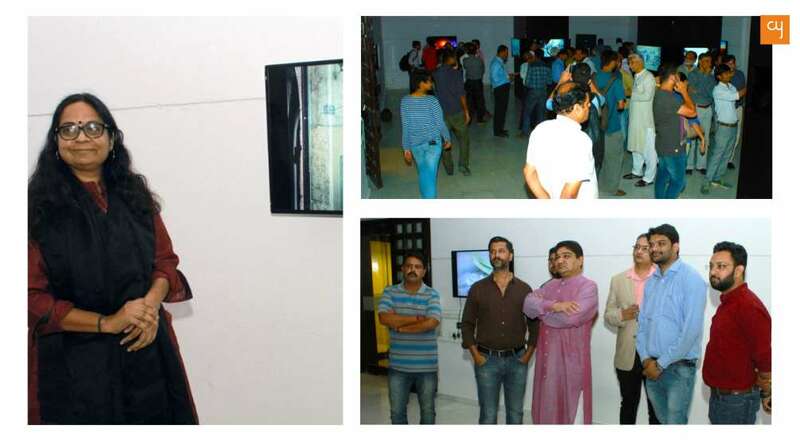 Exhibition held a preview on 19th August Friday which witnessed personalities and artists like Umang Hutheesing, Asha Mandapa, Parmanand Dalwadi and other exhibited photographers. The exhibition will last till 25th of August, from 4 pm to 8 pm.